A fine place with a beautiful external architecture and stylish interiors. 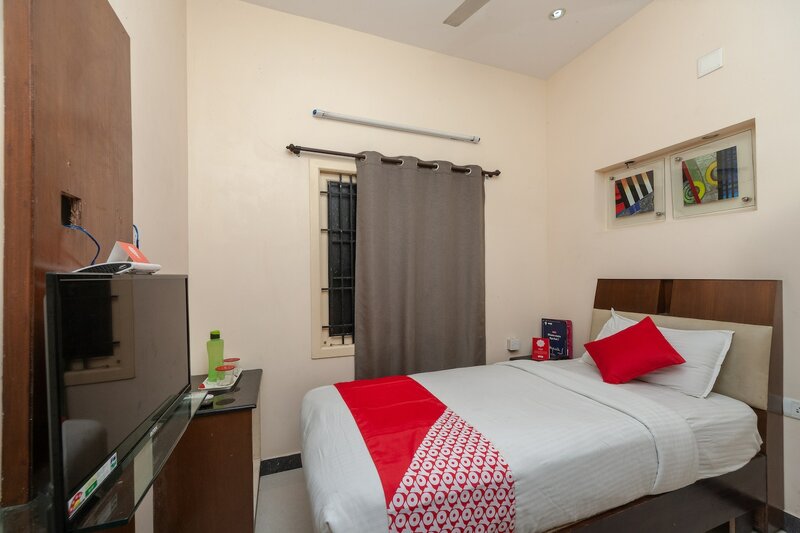 Aadvik Sai Residency is a hotel with a contemporary appearance. The front of the hotel has a pressed panel upon which another squared design panel is placed, lending the place a slight modernist edge. The bedrooms at the hotel are charming with light colored walls and dark colored furnishings. In addition to the basic furniture, the cushioned headboard adds comfort for the guests. A seating area, a kitchen and laundry facility is made available for the guests to use. Other amenities provided by the hotel are power backup, parking facility and a card payment option.